China Roses is an electronic, pop-rap duo from the coastal suburbs of South Australia. With lyrical influences such as Lily Allen and Allday, vocalist Jes Fisher fronts an electronic backing produced by Pietro Filippone (Alêtro) that is reminiscent of artists between the realms of Odesza and Kllo. Although only new to the music scene, the pair have established their sound with a combination of intricate, harmonious music and deep, image provoking lyricism. 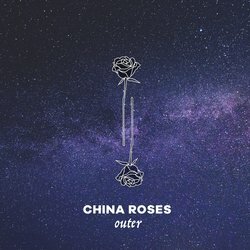 "Outer" is a venture further into the electronic genre than China Roses has traveled so far. The track gives off a deep, outer-space ambience and the lyrics tie in to this motif, discussing communication and imbalances in relationships.